Being synonymous with a particular product category is a mixed blessing. Mophie is undoubtedly the best-known name in the battery case business, but the company has been keen to distance itself from the space a bit — or, at the very least, let it be known that it has more to offer the world. Mophie released a whole bunch of new power banks a few weeks back. Necessary, sure, but it’s not exactly the kind of offering that’s going to make people sit up and take notice. Thankfully, the company is also starting to leverage its battery know-how for some pretty interesting products, including the Charge Force wireless charging system, the Hold Force modular phone case and this guy. 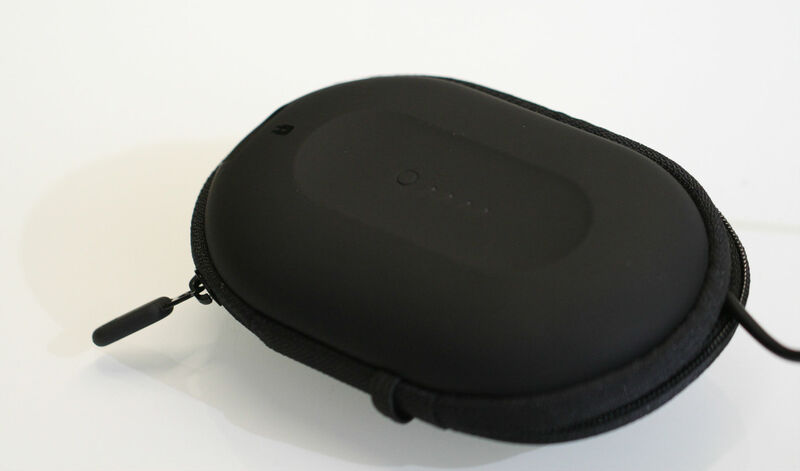 The power capsule is a compelling little product — and one I can definitely see finding a permanent home in my backpack. The product addresses quite possibly the biggest ongoing issue with Bluetooth earbuds: battery life. You see, while many of the fully wireless earbuds come with their own docks (including the ones that come with the AirPods, which more than slightly resemble a dental floss dispenser), the tethered variety are mostly on their own. Mophie found a compelling niche and filled it with the power capsule, a Bluetooth charging accessory that doubles as a case. 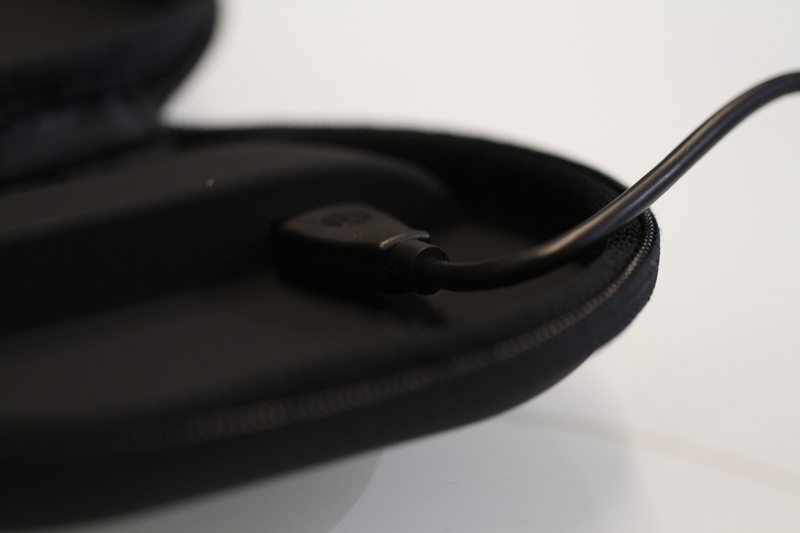 It’s a well-crafted peripheral with a flexible matte black top that zips together with a hardened plastic bottom, which houses a 1,400mAh battery. 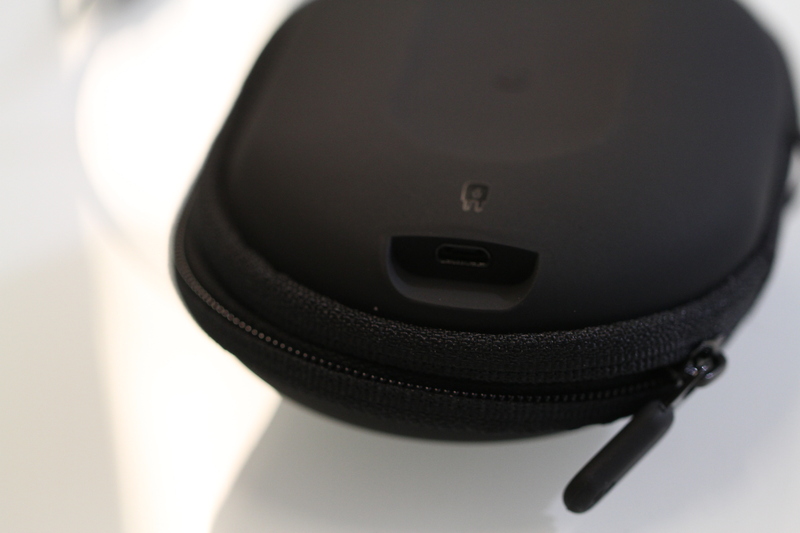 On the bottom is a microUSB slot for charging the case, along with a four-light battery level indicator. Inside is a full-size USB port. Plug a small cord in (bundled with the system for an added fee — or you can just use your own) and boom, you can start charging your Bluetooth headphones on the go. Mophie rates the charge at around 60 hours — though that number is obviously entirely dependent on the brand. You also can use the case for any other small product you might have on your person like, say, a fitness band — or a phone if you’re really in a pinch. The $40 price point seems about right, and the build quality is solid, as well. All in all, it’s a pretty smart buy for those looking to squeeze more time out of a pair of Bluetooth earbuds.